Considering how gigantic big trucks are, it’s not surprising that accidents involving them can be enormous with devastating consequences. 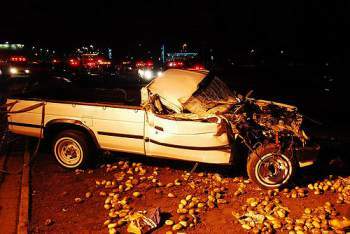 Cars involved would be crushed to pieces and unlucky people caught in the mishap would be left with serious injuries. The bills you would accumulate from an accident of such magnitude could render you homeless with hefty medical bills, massive car repair costs and if your accident causes you to lose a limb, you probably would be out of a job. At this point in time, you would realize that it’s best to seek legal counsel. If you have had a truck accident in Anaheim you are advised to take appropriate actions by seeking legal counsel as soon as possible. Also, be sure to go for a law firm conversant with the state laws as well as truck regulations. You have to act fast and smart as you can be sure the trucking company would be ready for lawsuits and have their team of lawyers prepped to debunk your claims. This is where your professional truck accident attorney in Anaheim would come in handy. We at Rawa Law Group have been representing Anaheim truck accident victims for over a decade and have helped recover hundreds of millions of dollars for different Anaheim claimants. Our team of professional attorneys are hardworking, committed and work tirelessly to ensure we help our clients win compensations for their losses. We handle all types of cases and with our combined experience of over 55 years; we have mastered the tact to win the maximum compensation for our clients. Are you suffering from truck accident injuries or know someone who has recently experienced a horrific truck accident? Let us help you win a settlement, contact Rawa Law Group today.